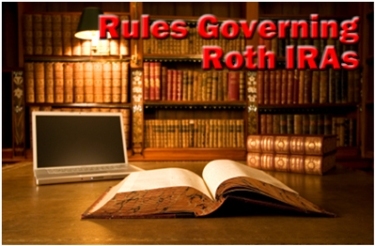 What are the rules governing Roth IRAs? You need to know before you ever contribute a single penny to your Roth IRA. Because ignorance of the law can prove quite costly, not just in dollar terms, but also in terms of personal frustration, wasted time, and financial heartache. Understanding these five categories, how they relate to your Roth IRA, and the individual rules which shape them, is the key to executing a successful retirement savings plan when it comes to your Roth IRA. So let's examine each topic individually. What are the eligibility rules governing Roth IRAs? According to the IRS, you must host your Roth IRA with an approved institution, and the account must be created by a written document. So what qualifies as an "approved institution"? "The trustee or custodian must be a bank, a federally insured credit union, a savings and loan association, or an entity approved by the IRS to act as trustee or custodian." For the most part, any reputable financial institution such as a bank, credit union, or brokerage house qualifies as an approved institution. But if you're still not sure, don't hesitate to ask! Now that you've found an approved institution to host your account, you need to have taxable earned income to make a contribution. But what qualifies as taxable earned income? Under the Roth IRA eligibility rules, taxable earned income or taxable compensation is generally defined as "amounts you receive for providing personal services." If you have compensation from one or more of these sources, you're eligible to make a Roth IRA contribution according to the rules governing Roth IRAs. But what doesn't make the cut as eligible compensation? If your only source of income is one or more of the above, then you're NOT eligible to make a Roth IRA contribution according to the rules governing Roth IRAs. What are the contribution rules governing Roth IRAs? You're required to make Roth IRA contributions with after-tax income, meaning your contributions are NOT tax deductible. This is the opposite of your 401k which is tax deductible. For example, let's say you make $40,000 per year, and you're in the 25% tax bracket. 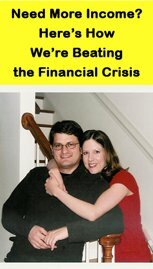 You might contribute $5,000 to your 401k, then pay 25% tax on the remaining $35,000 - leaving you with $26,250. But if you contribute $5,000 to your Roth IRA instead, you pay the 25% tax on the $40,000 first - leaving you with $30,000. Then, you make your $5,000 Roth IRA contribution from the $30,000 - leaving you with $25,000 in take home pay versus $26,250 with your 401k. At first glance, the 401k might seem like a better deal, but remember, you never have to pay taxes on the money in Roth IRA (if done right), while withdrawals from your 401k are fully taxable in your retirement years. The rules governing Roth IRAs also put a cap on the total amount you can contribute to your Roth IRA in any given year. These limits are pretty much self-explanatory. If you're 45 years old, then the maximum amount you can contribute to your Roth IRA this year is $5,000. But you're 55 years old, then the IRS allows you to make a "catch-up" contribution of $1,000, meaning you can make a total annual contribution of $6,000. As long as you turn 50 years old in the calendar year for which you're making a contribution, you're eligible to make the maximum $6,000 contribution. For example, if your 50th birthday falls on December 31, 2011, then you can make a 2011 Roth IRA contribution of up to $6,000. However, regardless of age, you can never make a Roth IRA contribution in excess of your annual taxable compensation. Under the rules governing Roth IRAs, you can NOT make an annual contribution to your Roth IRA which exceeds your annual taxable compensation for the year in question. For instance, let's say you're 16 years old, and you earn $3,000 for the year working part-time. Even though you're under age 50 and eligible to make an annual contribution of $5,000, your contribution can not exceed what you've earned - in this case $3,000. So the most you can contribute to your Roth IRA is $3,000. What are the tax rules governing Roth IRAs? If you reach age 59 ½, and your account is in compliance with the Roth IRA 5 year rule, then all withdrawals from your Roth IRA are tax-free. For example, let's say you're 60 years old, and your Roth IRA which has a total value of $165,000 has been open and funded for more than ten years. Under the rules governing Roth IRAs, you can withdraw every penny tax-free and penalty-free because you've met the provisions of the 5 year rule and you're over age 59 ½. However, if you aren't yet age 59 ½ or you haven't met the provisions of the 5 year rule, any withdrawal of investment gains, rollover funds, or conversion funds is subject to income taxes. These are called early distributions, and they're treated just like ordinary income. For instance, let's say you're 40 years old, in the 25% income tax bracket, and you withdraw $4,000 in investment gains from your Roth IRA. The $4,000 withdrawal is treated like ordinary income and taxed at 25% - leaving you with an additional $1,000 income tax liability. But income taxes aren't the only thing you have to worry about. Early withdrawals are also subject to a 10% early withdrawal penalty in addition to the income tax liability. So, using the above example, not only do you owe $1,000 in income taxes on your $4,000 early withdrawal, but you also owe a $400 early withdrawal penalty. What are the withdrawal rules governing Roth IRAs? Let's look at each rule individually. When you make a Roth IRA withdrawal, principal contributions must be withdrawn first. These are always tax-free and penalty-free since you paid income tax on the funds before making a contribution. After you've exhausted all of your principal contributions, you withdraw conversion and rollover contributions. Any investment gains you've generated are the last funds to be withdrawn. If you withdraw conversion funds, rollover funds, or investment gains early, you will probably owe income taxes and a 10% early withdrawal penalty. Unlike Roth IRA principal withdrawals, an early withdrawal of conversion funds, rollover funds, and/or investment gains is subject to income taxes and an early withdrawal penalty. So if you're already age 59 ½ or older, how do you know if you meet the requirements of the 5 year rule? The 5 year rule simply states that you must have an open and funded account for at least five tax years. For example, let's say you open and fund your Roth IRA on June 1, 2012. When will you meet the requirements of the 5 year rule? Because five tax years have passed - 2012, 2013, 2014, 2015, and 2016. Once 2017 arrives, your account is in compliance with the 5 year rule! What are the rollover rules governing Roth IRAs? If you inherited a Roth IRA, Traditional IRA, 401k, or other retirement savings plan from someone other than your spouse, you can NOT roll it over into your Roth IRA. Also, keep in mind that all Roth IRA conversions are independently subject to the Roth IRA 5 year rule. Under the Roth IRA 60 day rollover rule, you must put the distributed funds in your Roth IRA within 60 calendar days of withdrawing them from the account you're rolling over. For instance, let's say you decide to rollover your Traditional IRA into your Roth IRA. Once you withdraw the rollover funds from your Traditional IRA, you have 60 calendar days to put them in your Roth IRA. So if you withdraw funds on June 1st, you have until the day of July 30th to put them in your Roth IRA. If you miss the 60 window of opportunity, those funds cannot ever be put in your Roth IRA. You don't get any second chances, so don't miss the window! If you miss the window, not only are you barred from completing the Roth IRA rollover, but you also must pay a 10% early withdrawal penalty. Of course, regardless of whether or not you meet the 60 day window, you still owe income taxes on any previously untaxed rollover funds. When you perform a Roth IRA rollover, any amounts you've never paid taxes on are subject to income taxes as a result of the rollover. These amounts include tax deductible contributions and investment gains. Any non-deductible contributions you've made in the past are NOT subject to income taxes when you roll them over. For instance, let's say you have $50,000 in your 401k, and you're in the 25% tax bracket. The entire $50,000 in your 401k is composed of tax deductible contributions and investment gains. After you switch jobs, you decide to perform a 401k rollover to a Roth IRA. As a result of the rollover, you generate an additional income tax liability of $12,500 ($50,000 * 25%). It's also important to know the Roth IRA income limits and the 5 year rule and how they applies to any withdrawals you might make.